I’ve hosted a year of Frugal Tuesday Tips. As my way of thanking participants and readers, I’m giving away a very heavy 6″ x 9″ envelope of clipped coupons and a 10% off everything code for Shutterfly. 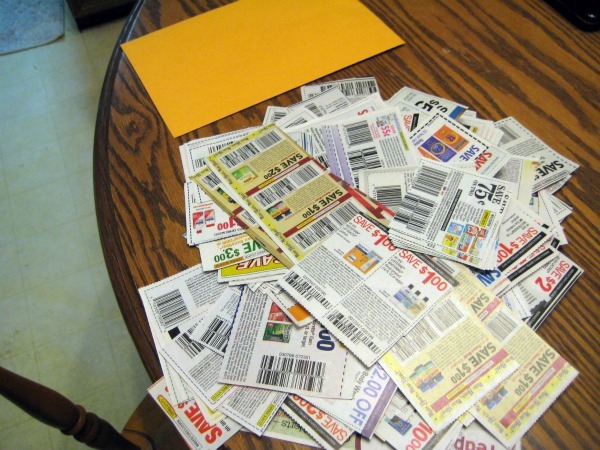 The coupons are a mixed bag — food, personal care, and cleaning items are included for a total of 6.75 OUNCES OF COUPONS. Use the Rafflecopter below to enter a chance to win. Now on to sharing your tips! Frugality is a good thing. Adding your blog post to the linky. Your one post will show up on the three hostess websites! Make sure your post was published within the last seven days. Our linky is open until Friday night. and me, juliecache — 6.75 ounces of clipped coupons and 10% ANY shutterfly product. 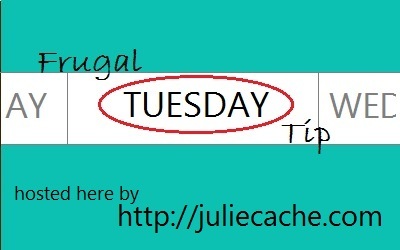 This entry was posted in frugal family and tagged frugal tuesday tip, giveaway. Bookmark the permalink. My husband and I just set a new budget for ourselves. We decided it’s time to buy a house and now it’s time to get REALLY frugal so we can get our down payment by the end of May. Come on Frugality! Best of luck! The more you can put down, the better. I went grocery shopping and got $120 worth for $30.76! With coupons and sales? Way to go! Thanks for stopping by my blog.